Until recently, there was a phenomenon in Israel that too many people were being kept in hospital mental health wards for long periods of time, even perhaps for most of their lives. This policy, which cut off these people from the society around them, has finally been changed. The new understanding is that those with mental health issues are better off living in group housing or hostels, as functioning and contributing members of society. In the new and ground-breaking documentary film, Open Ward, directed by Yoav Kleinman and Ido Glass, we meet three men in an unprecedented look at an open ward at the Abarbanel Mental Health Center. And we learn about each of their fears vis-a-vis the new policy. I found this film particularly compelling. 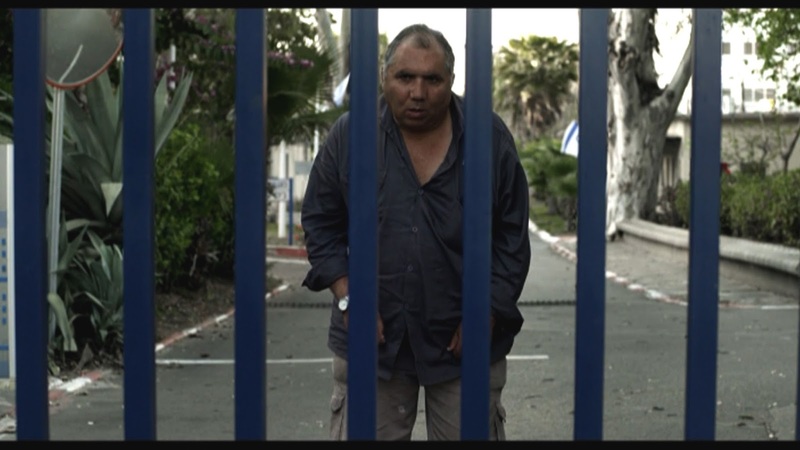 Avner, age 54, has been living at Abarbanel for 32 years. In a conversation with his social worker, Nati, he complains of inner boredom. Even though he is not living in a closed ward, he is terribly afraid of going out past the main gate. His brother-in-law visits him regularly, feeling compelled to take interest and take care of him because his wife, Avner's sister, is not capable of doing so. Avraham, age 68, likes to sing. He dreams of being reborn as a normal man with a family. Otherwise, like a "passing shadow," who will remember him when he goes? He is particularly interested in talking about death especially after he is diagnosed with cancer. Participating in a drama workshop at Abarbanel, he decides he wants to leave behind a song. Igor, age 28, hears voices in his head. He likes to sing rap, and we see him sing/perform his own rap song as part of the film (Where the Sky Ends) that is being produced by the drama workshop. Still a young and vibrant man with dreams, Igor wants to be permitted to go to live in a hostel and to get a real job. This film offers an upfront and personal portrayal of three men who are willing to expose themselves and their inner fears. They talk about their lives, their dreams, and their acceptance of their lot in life.